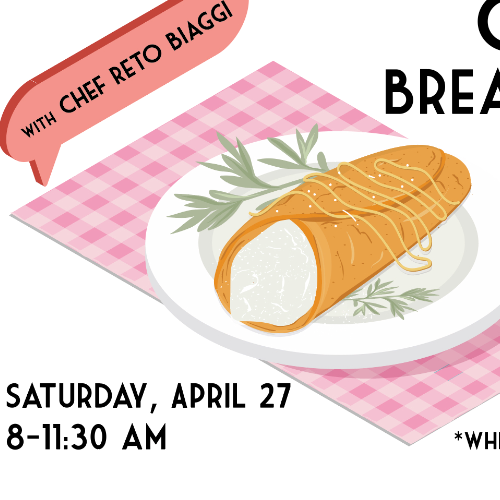 Enjoy Sweet and Savory Crepes made by Chef Reto Biaggi of Reto's Kitchen. Chef Reto, a Greensboro culinary master, brought his expertise to North Carolina from France over 20 years ago. The wonderful wafer-thin French pancakes fill a niche in contemporary dining. His specialty crepes are made with light spices and fillings suit the Market's passion for healthy fare. Choose from Reto's sweet or savory fillings for $7 minimum per plate per person donation.The savory crepe will be filled with roasted sweet potatoes, garlic and greens and his sweet crepe will be filled with goat cheese from Goat Lady Dairy | Climax, NC and honey from Quaker Acre Apiaries with additional jam toppings from the Market. Ward's Happy Chicken Eggs from Whitsett, NC will provide the eggs for these tasty crepes. 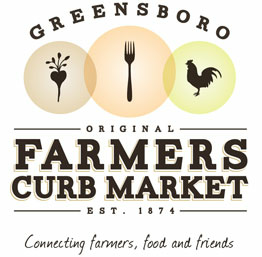 Proceeds benefit the Greensboro Farmers Market, the non-profit that manages the Market. Proceeds go to underwrite market operations, subsidizing vendor table costs, food security programs, local food tasting supplies and local music for your enjoyment. Patrons can enjoy live music during the morning from local musician, Elliott Humphries of "Be the Moon" starting at 9 am on the lawn weather permitting. The event will be moved inside in case of inclement weather. All fundraising events are first come, first served while supplies last! Event proceeds provide vital funds to the operation of five food security programs at the Greensboro Farmers Market, Inc.